Don’t panic, I’m not ill. That’s a big smile on my face in the photo and I’m enjoying a fabulous Vitamin Infusion at Central Healthcare in Newcastle. Vitamin Infusions, Vitamin Drips or whatever you’d like to call them, have intrigued people all over the world for years now. With celebrities like Simon Cowell and Rhianna reportedly using them to help combat symptoms of ill health and exhaustion. For so long, Vitamin Infusions have appeared to be a secret treatment, reserved for celebrities and the wealthy with seemingly endless pots of money. Very few places in the UK, especially outside of London, offer this bespoke service which I feel has added to the intrigue surrounding vitamin drips, making it harder for people to find out about them, their potential benefits and the cost. However times are changing. With more and more people feeling the benefit of vitamin infusions for themselves, word is spreading about how greatly they can benefit your body and quite frankly, the secret is out! But what are they? Do they ACTUALLY work? And are Vitamin Drips worth the money? A Vitamin Infusion is an intravenous method of feeding vitamins, minerals and other natural substances directly into the bloodstream via a drip in the arm. This enables highly concentrated amounts of vitamins to be able to bypass the digestive system and to go straight into the bloodstream. Many people take vitamin supplement tablets on a daily basis however they only absorb a small amount of the vitamin content (usually around 10%), as their body has to break down the tablet. The amount absorbed is largely dependent on the effectiveness of their digestive system however the vitamin content of tablet supplements, even as a whole, is a far lower amount than you’ll find in the Vitamin Infusion. In order to absorb a similar amount in tablet form, a person would need to ingest huge amounts daily which just wouldn’t be practical. The great thing about having a Vitamin Infusion is that the mix of vitamins are very much bespoke to the individual and are chosen based on your health or lifestyle concerns. There are drips for those looking for extra energy, to boost their immune system, plump up their skin, help them to lose weight and increase their metabolism, rehydrate and support heart health and hormone balancing. Anyone can benefit, even those who have malabsorption and digestive problems, perhaps through illness or after weight loss surgery. Vitamin Infusions are able to help to stimulate and support the optimal function of the immune system and are great for treating nutritional, health, stress and modern day effects on the body and mind. Because of their bespoke nature and wide ranging benefits, Vitamin Infusions are ideal for people from so many different walks of life to businessmen and women who are time poor and simply cannot afford to be off work ill, through to athletes who want to make sure they’re in the best condition possible. They’re also used by cancer patients to help to improve their quality of life and ease symptoms/side effects of the disease and medication. Some some studies have shown that very high levels of Vitamin C may help to slow the growth and spread of some types of cancers; you can read more about this here. 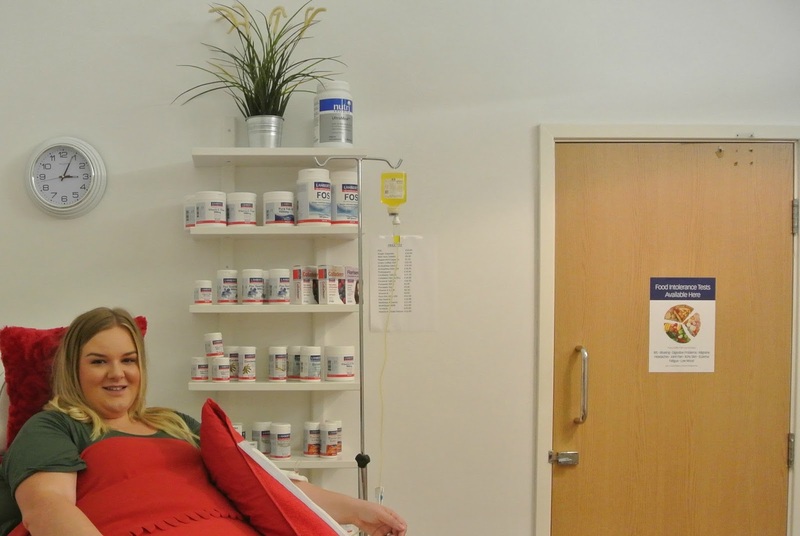 In the North East, Vitamin Infusions are available at Central Healthcare in Newcastle. They are a nurse led clinic who specialise in colonic irrigation and detoxification. I’d wanted to have a vitamin drip for years after first seeing Simon Cowell having one in the press but I’d always assumed that it would be out of my price range and something administered in London so to find a clinic offering this service right on my doorstep was fantastic. Central Healthcare asked me if i’d like to try out their treatment and it has been just under a month since I went along for my first Vitamin Infusion. I wanted to wait a while before reporting back my thoughts so that I could give you all an accurate report on how I feel the drip has benefited me. All Vitamin Infusions are prescribed by a doctor and administered by RGN specialist nurse, Gill Brooks. There’s plenty of information available on their website here as to the different drips that they do, however you can also ask their advice as to which one they would recommend based on your medical history and health and lifestyle concerns. They have a doctor as well who is available for pre-infusion check ups should you feel this is necessary for you. Once my appointment was booked, I had a form to fill in via email about my medical history and health, lifestyle and concerns. I’d explained that I work long hours with plenty of late nights and I burn the candle at both ends. Since an accident a few years ago, I’ve become an anxious person who suffers with panic attacks which really take it out of me and as a result of those combined with the long working hours, I’m nearly always shattered. Being so tired, I find that my immune system is shot to bits and I pick up colds SO easily but being self employed, I cannot afford to take time off work to be poorly so the whole thing is a vicious circle. I wanted the vitamins in my infusion to focus on giving me more energy and to be a boost to my immune system which meant that the Cellular Support Infusion would be the ideal choice for me. Before my appointment, I was so nervous. I absolutely hate needles and being in pain but I’m also able to recognise the value in having something that could help me and this was what gave me the push to attend. The Central Healthcare clinic is so easy to find as it is just behind Newcastle Train Station. There’s plenty of parking nearby and finding a space was so easy which I definitely think helps to calm the ol’ nerves before stepping into the unknown. If you’d watched my Snapchat (WLLofficial) before I went in, you’d know how nervous I was and how silly I felt afterwards knowing that there wasn’t any need to worry at all! The atmosphere at Central Healthcare is welcoming and made me feel immediately relaxed and at ease. There’s a small but perfectly formed waiting area and one large treatment room which is booked on an individual basis, offering a private and personal service that’s bespoke to the individual. Following a short consultation where the nurse, Gill Brooks, explained all about the Vitamin Infusion that I would be having and went through my consultation, I was ready for my treatment. This takes place on the chair in the photographs above which is adjusted to make you super comfortable for the duration of your infusion. To begin, the nurse found the vein in my arm and put the needle in, along with the tape and compress to keep it in place. This didn’t hurt AT ALL. You know when you go to the doctors for an injection and they tell you it’ll just be a scratch and it NEVER is? Well this was literally a scratch. Once the needle is in, the drip is connected. There are three bags of fluid that are connected one after the other. The first is a saline solution which will hydrate the body from the inside, the second the vitamin mix and the third, another saline solution. The Cellular Support Infusion is made up of Vitamin B12, a Vitamin B complex, Vitamin C, Calcium, Magnesium and Zinc, which are the vitamins and minerals that you need to boost your immune system and energy levels. The IV drip was in my arm for around 45 minutes and aside from my arm going a little stiff from keeping it in the same position, I wasn’t in any pain or discomfort at all. I brought my Kindle with me but just sat happily chatting with Gill. Removing the needle didn’t hurt in slightest and Gill popped a little plaster on. My arm wasn’t bruised or anything like that. All in all, a quick and painless treatment. After having the drip, any excess of the vitamins will be apparent when going to the toilet- a lime wee! I felt very chilled for the rest the evening. Aside from that, I didn’t experience any side effects of the procedure itself- only benefits from the vitamins! In the days following the Vitamin Infusion, the persistent cold that I’d had hanging around for two weeks before the drip, seemed to clear up quickly. After about 2 days, I really started to notice a change in my energy levels. Before having the drip, I’d get this slump in the afternoon where I’d feel as though a coffee, green tea or nap would be needed and it would usually take all of my might to fight that feeling however after having the Vitamin Infusion, I haven’t had that slump. I’m also finding myself to be more alert on most mornings and I’m able to get up and get cracking with my day without needing to give myself time to pull myself around. While I have been making some lifestyle changes over the last month, I do feel as though the Vitamin Infusion has helped me and I‘m really interested to see how long I feel these effects for. I spent sometime with my friend who had a cold last week and usually I’d find myself sniffling as I catch every cold going but I haven’t so I’m really looking forward to seeing the full benefits to my immune system now that we’re in the autumn months. I don’t think that it would be realistic to think that the Vitamin Infusion could replace a healthy lifestyle. I very much feel as though it is an aid to it. If I’m not having enough sleep and not leading a healthy lifestyle then any amount of vitamins will only work so far and I’ll still feel tired the next day, although not as tired as before the boost of vitamins. I do believe that it is a great boost to the immune system and a fantastic way to perk up your energy levels. The nurse said that the number of infusions that one person would need would be entirely dependent on themselves and how they feel. Some people come in every couple of weeks, others every month, others every six months or when they’re feeling the effects to start to wear off. The cost of a Vitamin Infusion at Central Healthcare, Newcastle, starts at £157 and goes up to £407 with the vitamin packages on their website however there are many more concoctions of drips that one could have. The drip that I had would have cost £189 which, although expensive, I feel is worth it providing the benefits that I have seen so far last over the coming months and I continue to make more informed choices about my lifestyle. I must admit, the price is less than what I had assumed it would be from my perception of celebs having the treatment done which is a good thing and makes it accessible to more people. I think that if you can invest in your health and something that is going to benefit you, your lifestyle and ultimately your work (if you’re someone who can’t take time off as easily as others) then the cost is more than justified. For someone who has felt permanently exhausted both mentally and physically for years, I have noticed a significant difference since having the Vitamin Infusion and for me, it was completely worth it and would be worth having again once the effects wear off. At this point in my life, I wouldn’t be able to pay to have the treatment on a monthly basis, but it would certainly be something that I would pay to have every quarter or six monthly if I felt as though the effects lasted that long. In doing so, I would be able to justify the expense as being less exhausted, not getting poorly as frequently and being more alert enables me to perform more efficiently and productively at work and is totally worth it. About four years ago, I had the flu jab while at my previous job and I’ve never been as poorly as I was after I had it and it lasted right from the October when I had it through to Christmas and I’ve always sworn that I’d never have another. While this isn’t medical advice in the slightest, if I continue to see a difference to my immune system through having the Vitamin Infusion, then I would use this as my version of helping my immune system over the colder months. Anyone can benefit from the Vitamin Infusion but I think I would especially recommend it to those who lead very busy lives, perhaps those who cannot afford to take time off work due to colds and flu or those who work odd shifts such as flight attendants, those who consistently lack energy and can’t seem to perk themselves up and those who find it difficult to absorb enough vitamins and minerals through their digestive system or those who are suffering from illness. I’m sure athletes and sports people will love the drip too. 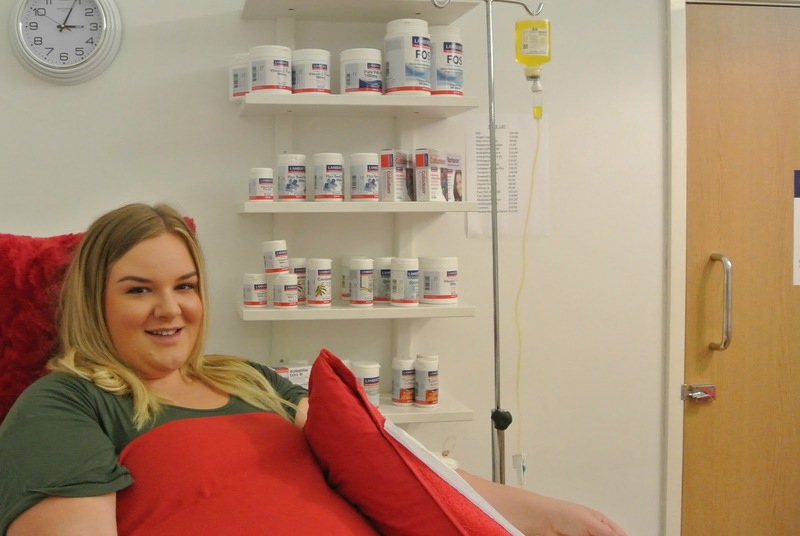 If you’re exhausted and in need of a pick me up then I’d definitely recommend looking into having a Vitamin Infusion, especially at Central Healthcare. I’m impressed with the standard of the treatment room, the service that Gill gave me, how she put me at ease and expertly delivered the treatment and the follow up advice she gave but most importantly, the benefits that I have experienced after having the treatment. Make an enquiry or book an appointment at Central Healthcare in Newcastle on 0191 222 0100 or via email info@centralhealthcare.co.uk. They’re open 6 days a week from Monday to Saturday and private appointments can also be made outside of their opening times. You can find them at Arch 3, Forth Street, Newcastle upon Tyne, NE1 3NZ. Follow them on Twitter and Facebook to keep up to date with their latest news and find out more about their full range of treatments on their website here. Have you had a Vitamin Infusion? Is this treatment something you could benefit from? Previous Post Zoella Lifestyle, Beauty and Christmas NEW Releases and Find Out What The #ZoellaApartment Was REALLY Like! Next Post The Plus Size Navy Maxi Dress that’ll make you say WOW! These are all the rage in Vegas – when we were over I kept seeing signs for them! Not sure this is something I'd do, being injected terrifies me! Goodness. I'd never of a Vitamin Infusion. I take daily vitamin tablets and of course aim for a healthy diet. I wonder if they can be beneficial to everyone, or really only if you're deficient in something? Wow – this was a really interesting account – and I actually never knew vitamin jabs existed (where have I been living – I know!) Thanks for enlightening us all to the procedure. I think for me, you've highlighted just how important it is to eat healthily as much as possible. I had no idea this type of service was even available. That's a great way to introduce some vitamins into your system really quickly. This isn't something I would personally do, as I am a firm believer of getting everything from a healthy diet, but I imagine it would be good for people that are medically deficient of something. I genuinely don't think I could have this done Laura – it sounds amazing but I'm terrified of having a drip in after my births and it just wouldn't sit well with me! Wow you're brave I really don't like needles so I don't think I could do this. I am sure it can really help boost the body. I would like to have this done. Sounds beneficial. I've never heard of these before… Now i have! 😀 Love how comfy they've made the room. It goes a long way relaxing you before getting a needle stuck in your arm! Ive heard so much about this and wanted to try it out too! And this is so interesting! Might convince hubby to get it along with me. Poke me with a needle and i will bring the house down lol! I wouldn't try this out personally as it's not really for me. I think you can get exactly what you need from a great nourishing diet! Wow I've never heard of this before! The place looks so calm and serene too. I've never heard of this and ah, I couldn't do it. Just the thought of the drip going in…enough to make me queasy! It sounds right up my mum's street though, she would love it. I'm just a chicken, haha. I hate needles!! It sounds an interesting treatment but as a nurse myself I'm unsure how I feel about it all! Wow! I have never ever heard of this before. It wouldnt be my cup of tea but the place looks good. I didn't honestly know this was a thing that people could go and get done! If you're seeing such good results, it's well worth it! Hope the effects of this treatment last for a long time! I'm far too afraid of needles to try this myself.